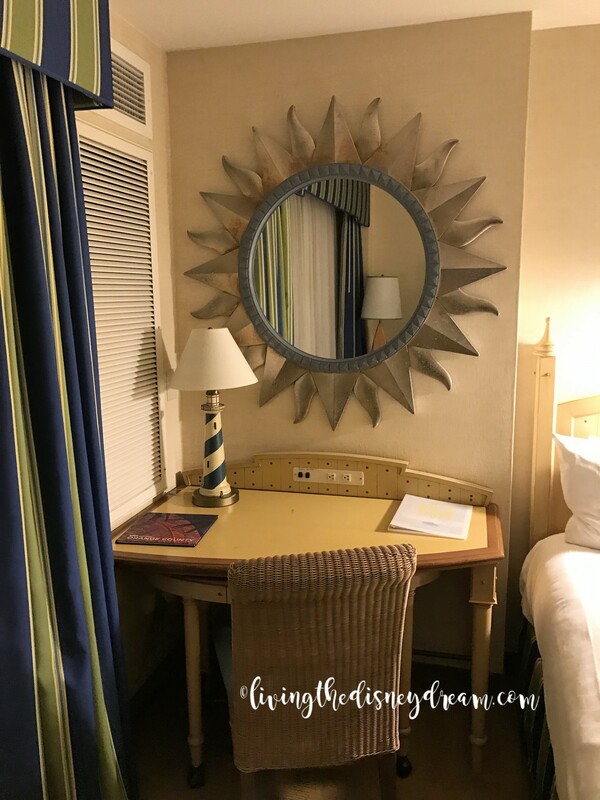 We had our first opportunity to stay at Disney’s Paradise Pier Hotel this month. 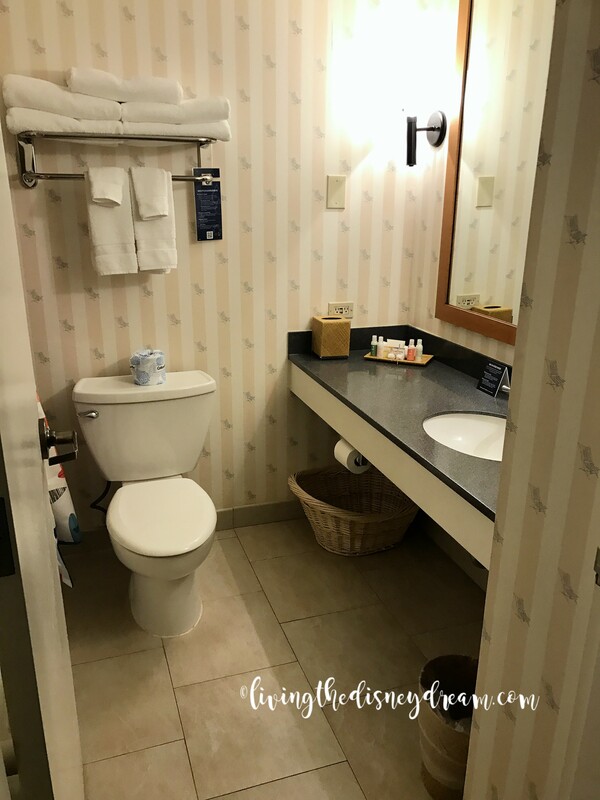 I was somewhat hesitant as all of my previous visits had been at Disneyland Hotel. 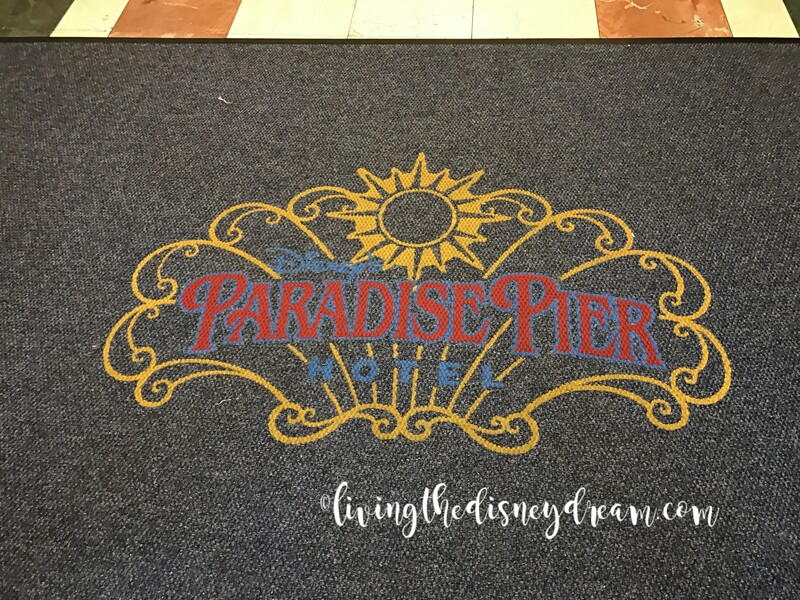 Paradise Pier was not originally built by Disney and also is considered more of a moderate resort (in Walt Disney World Resort terms). 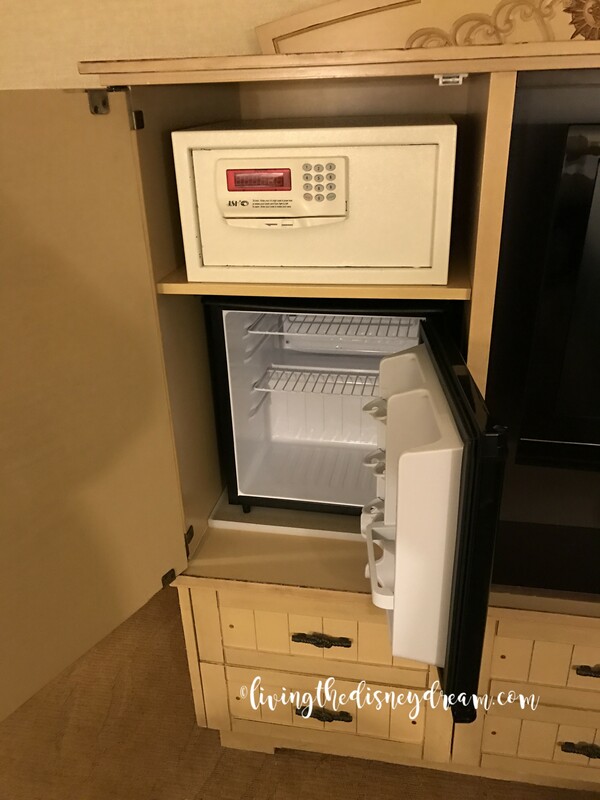 It is also the furthest hotel from Downtown Disney and the parks, especially with the new security procedures in place. 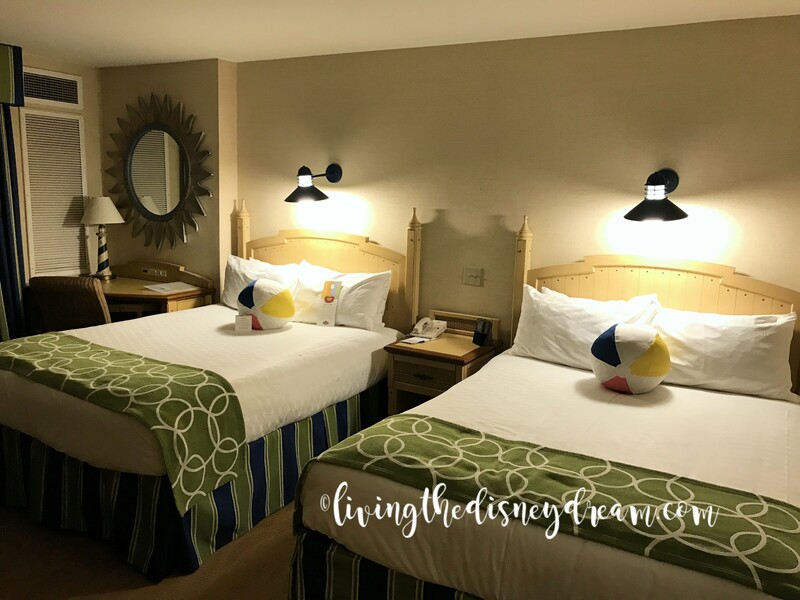 We used our Disney Vacation Club points to stay versus the average cash outlay of $350+ a night with taxes and fees. We arrived late at night, and only one person was working the front desk. 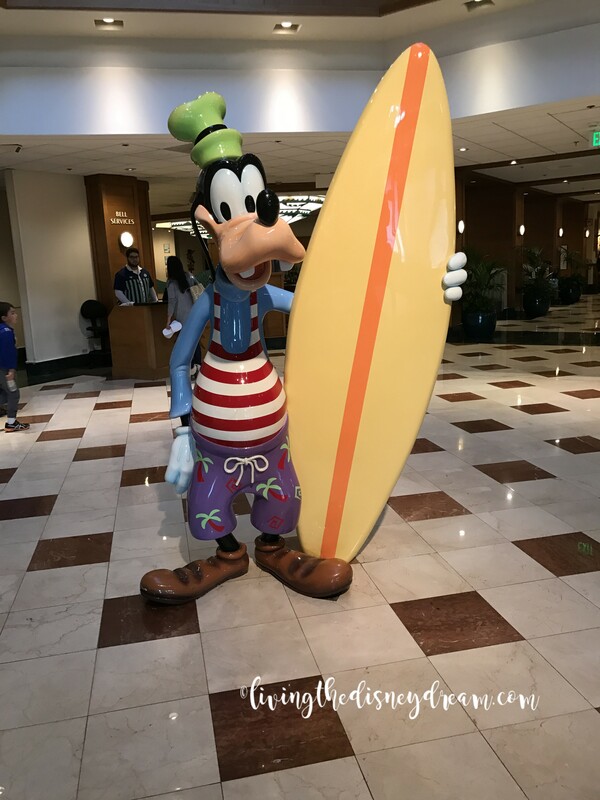 Another Cast Member came shortly to help with check-in. 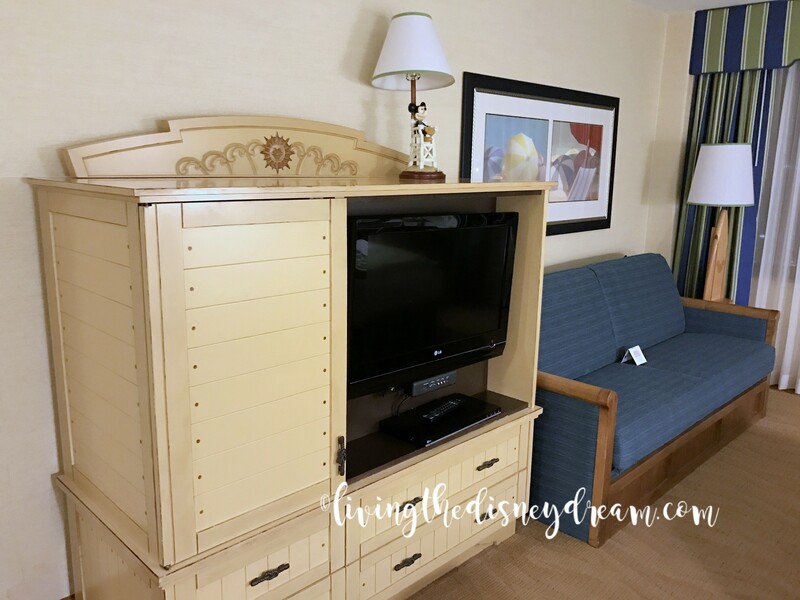 Our DVC points allowed us a Premium View, and I requested a room with one king bed. Unfortunately, according to the CM, the resort has only one room with a king bed in Premium View. 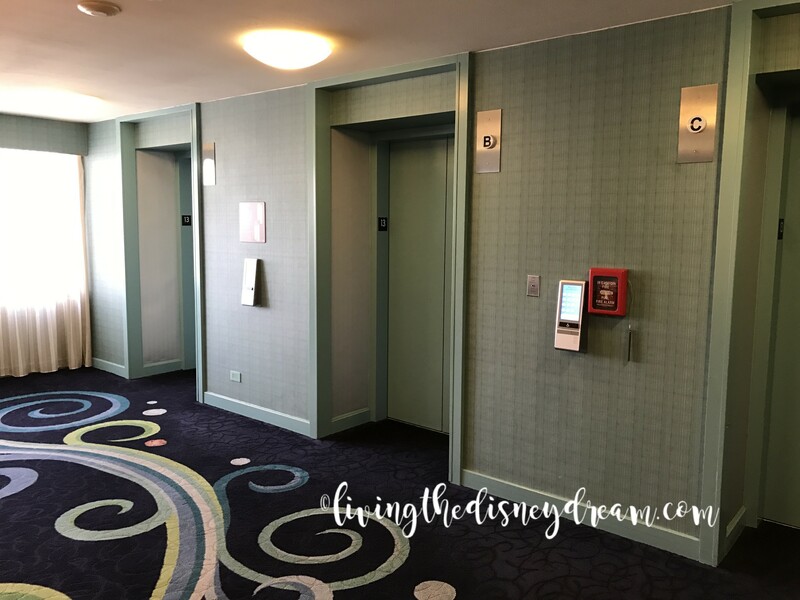 We were checked in and assigned to room 1300 on the 13th floor, which was at the end of the building. It was a great location with a magnificent view! Overall the room was spacious and well-kept. There were signs of a need for refurbishment, especially in the bathroom. 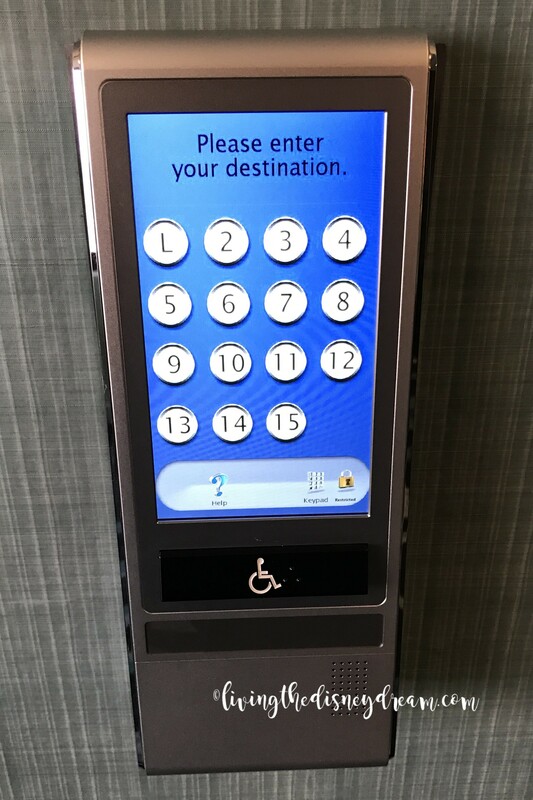 The hotel has an unusual elevator call system, where you press your floor number, and it tells you which elevator to board. Most of the time this works very well as you go directly to your destination without interruption. 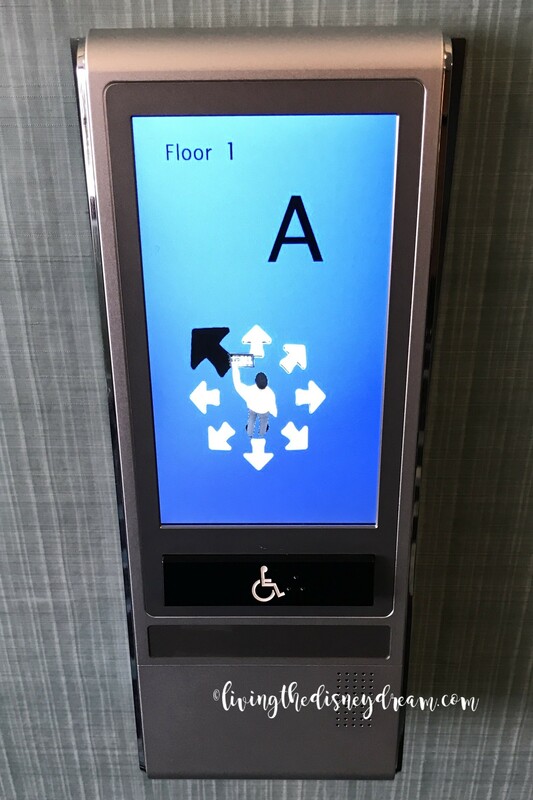 However, during busier times, often multiple floors would be input for the same elevator, but the elevator would not be able to hold everyone. At those times you stop on multiple floors with no one needing to get on or off the elevator. Overall, we found the staff was excellent. We enjoyed our quiet location at the end of the hall. Most of all, we enjoyed the nightly shows outside our window. 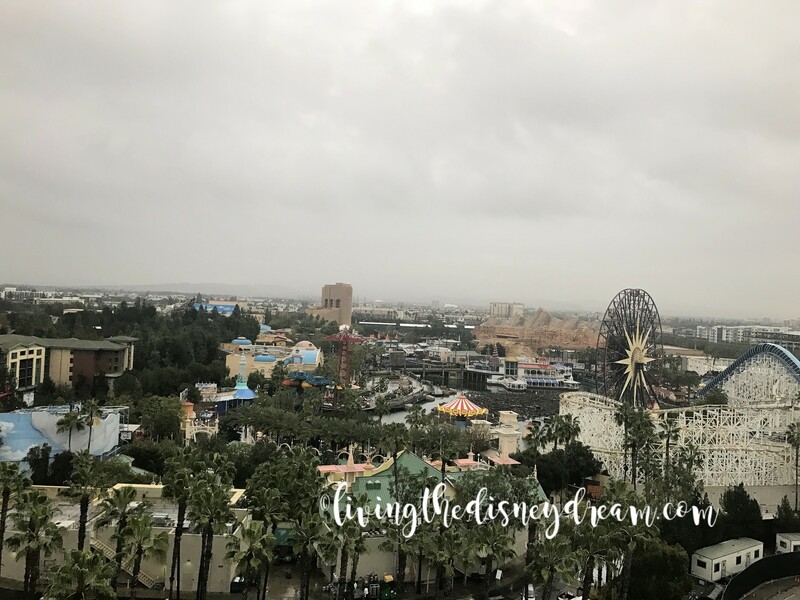 The television broadcasts the audio from Disneyland’s Fantasy in the Sky and Disney California Adventure’s World of Color. 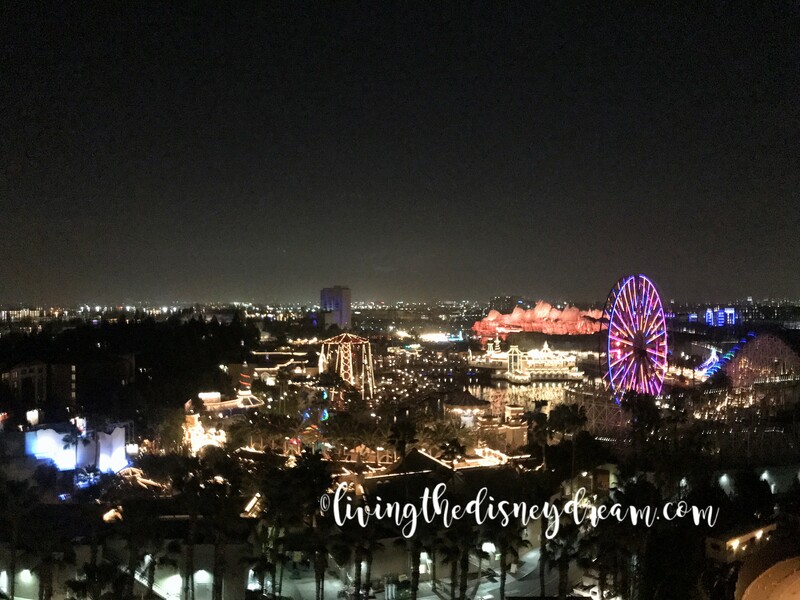 The first night we enjoyed room service as we watched World of Color – a perfect way to start a vacation! As a side note, the burger was delicious. The new security checks have made entering Downtown Disney a little cumbersome. 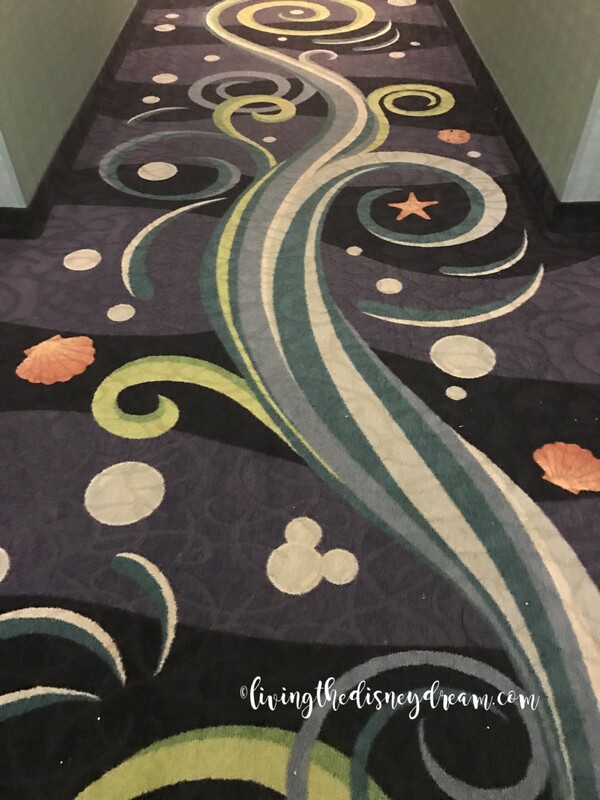 Previously I understand many people were able to cut through Disney’s Grand Californian Hotel & Spa. 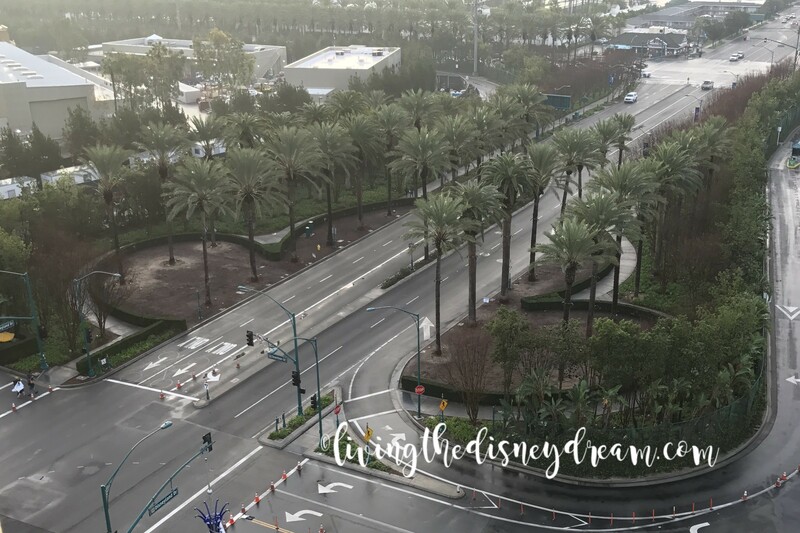 We were directed to use the back entrance of the hotel (next to the parking garage) and enter at the security checkpoint near the Disneyland Hotel hat. There is a line dedicated to hotel guests, however, we were never asked for proof. During early morning hours, it was very easy to get through the checkpoint with almost no lines. Later in the day the lines became very long but moved pretty quickly overall. During our stay, we were required to go through the metal detector the majority of the time. Once inside Downtown Disney, you were then free to go to the park entrances without another security check. 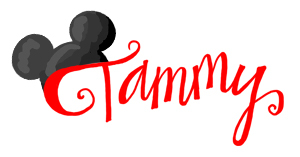 Overall, we had an excellent experience staying here and will consider this location again.